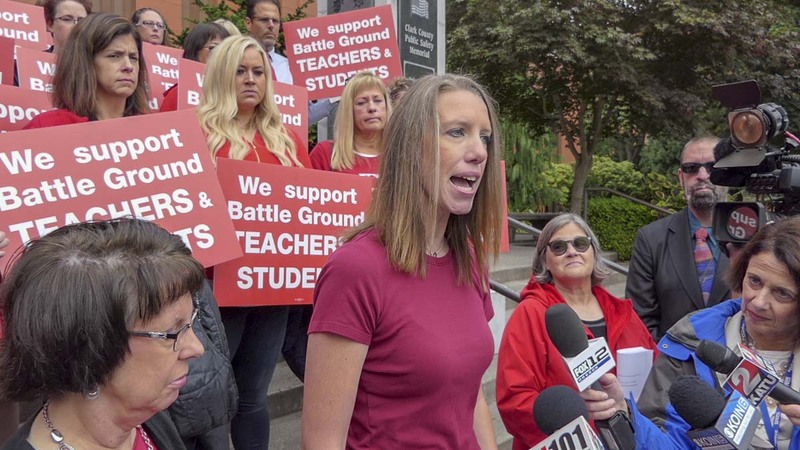 VANCOUVER — Teachers in the Battle Ground School District will meet this evening to vote on whether or not to defy a court ruling. 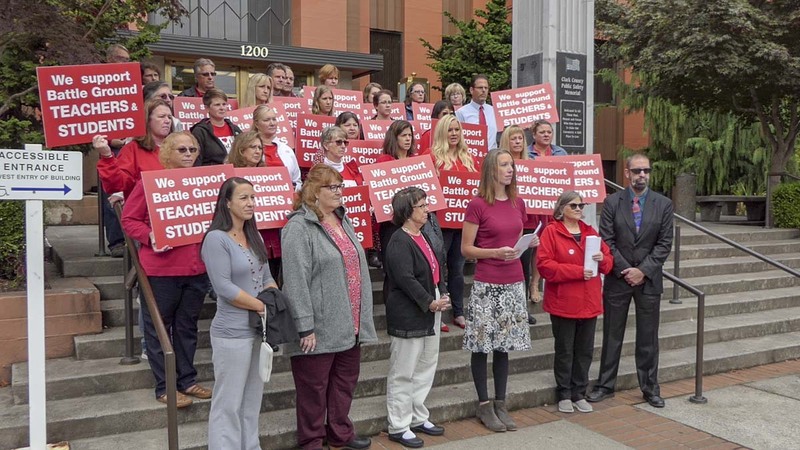 This morning a group of teachers filed into the courtroom of Clark County Superior Court Judge Scott Collier, delivering statements from nearly 500 Battle Ground parents stating that the ongoing teacher strike was not causing their children irreparable harm. Q. Why did the Materials and Supplies and Purchased Services budgets increase by $10.2 million in 2018-19 compared to 2017-18? $1.1 million budgeted for student enrollment growth. The district budgets for state apportionment that it expects to receive as a result of increased enrollment. This contingency is also allocated to Materials and Supplies. These funds would provide staffing and student instructional needs (supplies, furniture, etc.) for additional students in the district. If the district’s enrollment does not increase by the budgeted student enrollment projections, the district will not receive these funds from the state nor incur any expenses, therefore it would have a net $0 impact. $1 million building budget carryover in Purchased Services. Schools are permitted to carry over unspent funds from the previous years into the following year’s budget. These funds are managed by each school’s leadership team, which comprises principals and staff. Buildings use these funds to provide for instructional and support needs. $700,000 categorical program carryovers budgeted in Materials and Supplies. These unspent funds are carried over from the previous year into the following year’s budget. The majority of these funds are managed by the Career and Technical Education (CTE) program, which uses the money to provide skills-based classes to middle and high school students. $400,000 curriculum adoption budgeted in Purchased Services. Battle Ground Public Schools has budgeted $400,000 to help cover the cost of a new high school curriculum for English Language Arts. The adoption is in the final stages. The district’s attorney argued differently, saying that many children in the district rely on school for a safe and secure place, as well as a meal and education. 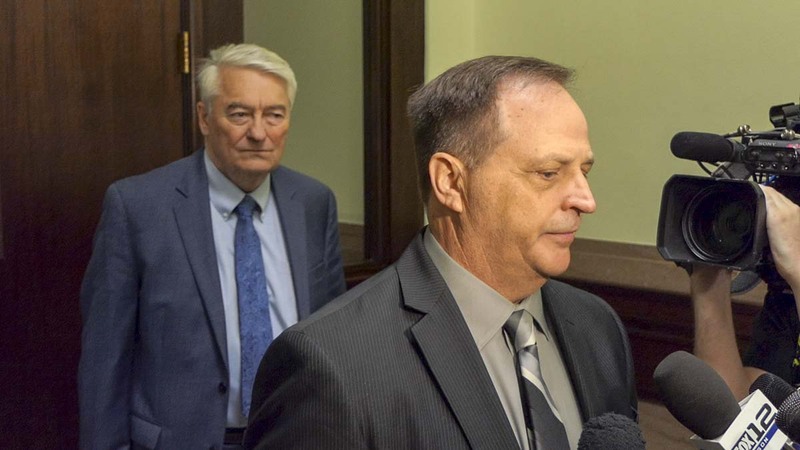 Collier was clear that his ruling did not have any bearing on the negotiations, which are continuing today and throughout the weekend, but were based on precedent in Washington State that public employee strikes are not protected by the law. The judge did order both sides to return to negotiations as soon as possible. Battle Ground Superintendent Mark Ross said he was meeting with his principals, then heading back to continue the bargaining process. Judge Collier asked both sides to return for a check in next Friday morning if a deal hadn’t been reached. Heinz said she remains hopeful that they can close the $4.3 million gap this weekend. 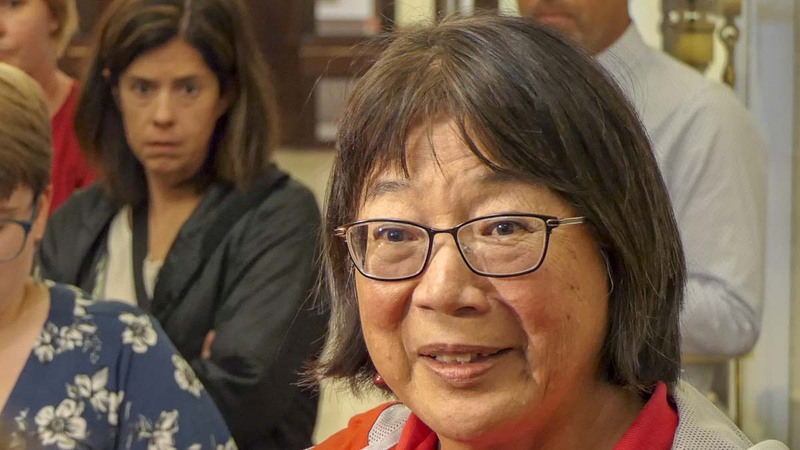 At 71-years old, Irene Soohoo says she has been teaching for 45 years, 25 of those in the Battle Ground school district. Heinz wouldn’t comment about whether she’ll be in class Monday. Failure to return to class could result in teachers being found in contempt of court, punishable by a possible $1,000 fine. Earlier this week the district asked for the state’s Public Employee Relations Council to appoint a fact finder. The union on Wednesday asked that the meeting with that fact finder be delayed until Monday. Ross said he’s hopeful, even if a deal isn’t reached this weekend, that meeting on Monday will help to move things along. At last check the district and union were about $4.3 million apart — down from a nearly $9 million gap last week.